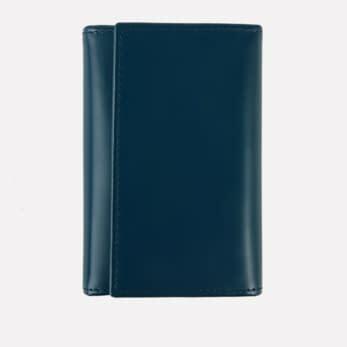 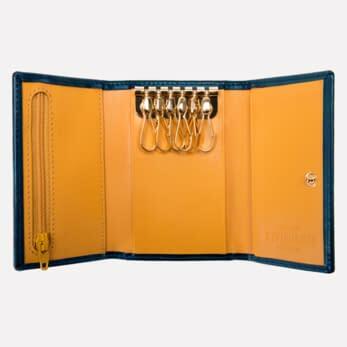 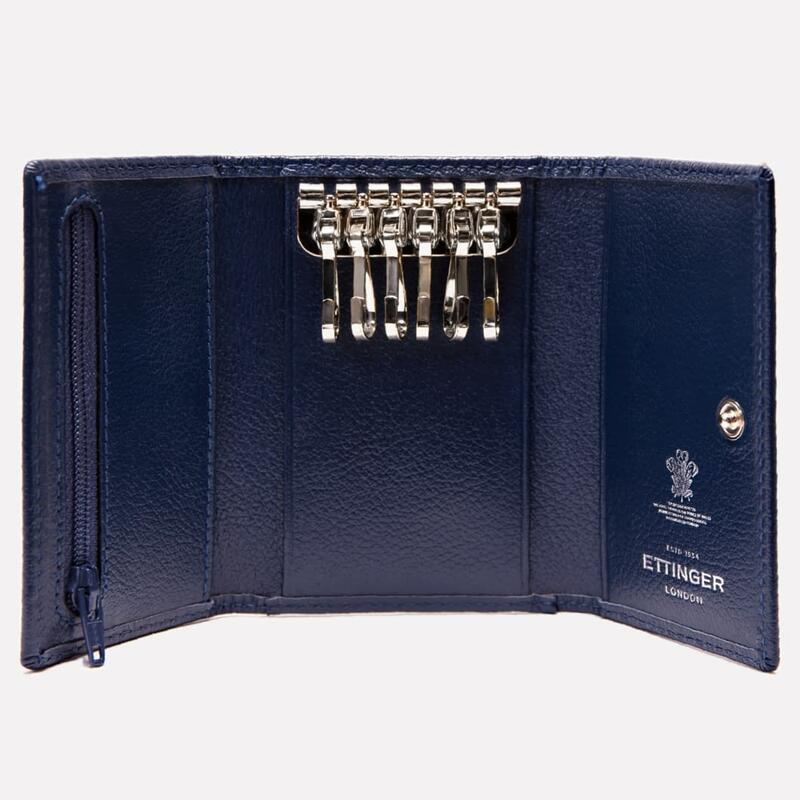 Store your keys within this stylish Marine Blue Capra 6-Hook Key Case. 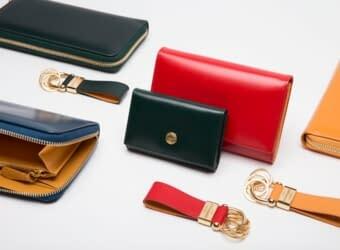 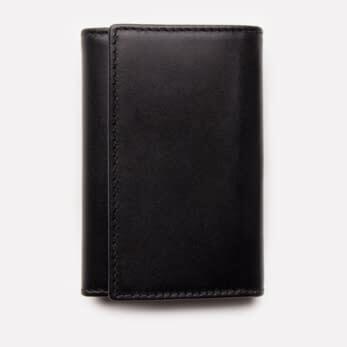 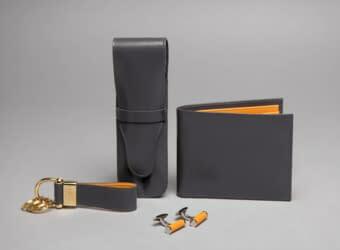 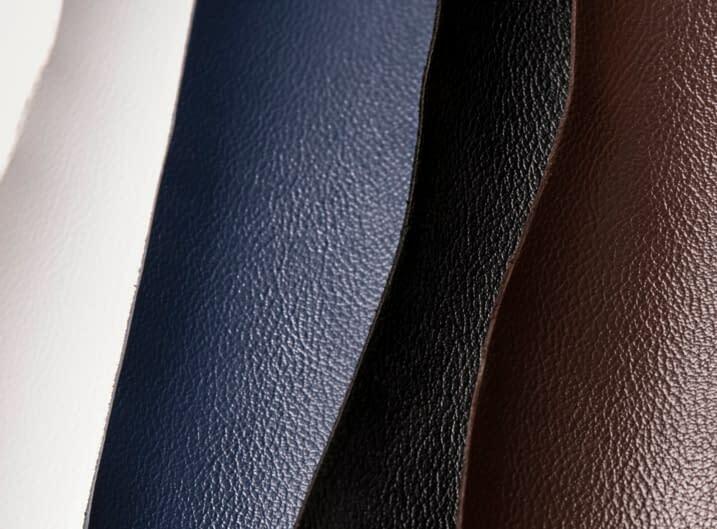 The soft, grainy, goat leather is known for being strong and durable, making it perfect for storing keys. 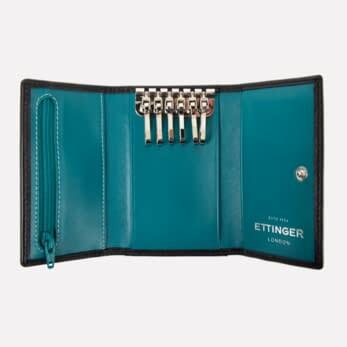 Featuring deep ocean blue throughout, the case is decorated with the Ettinger logo and the Royal Warrant carefully embossed inside in silver. 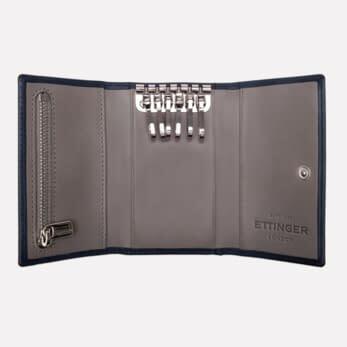 The silver-coloured six hooks are perfect for different keys and twist and turn easily. 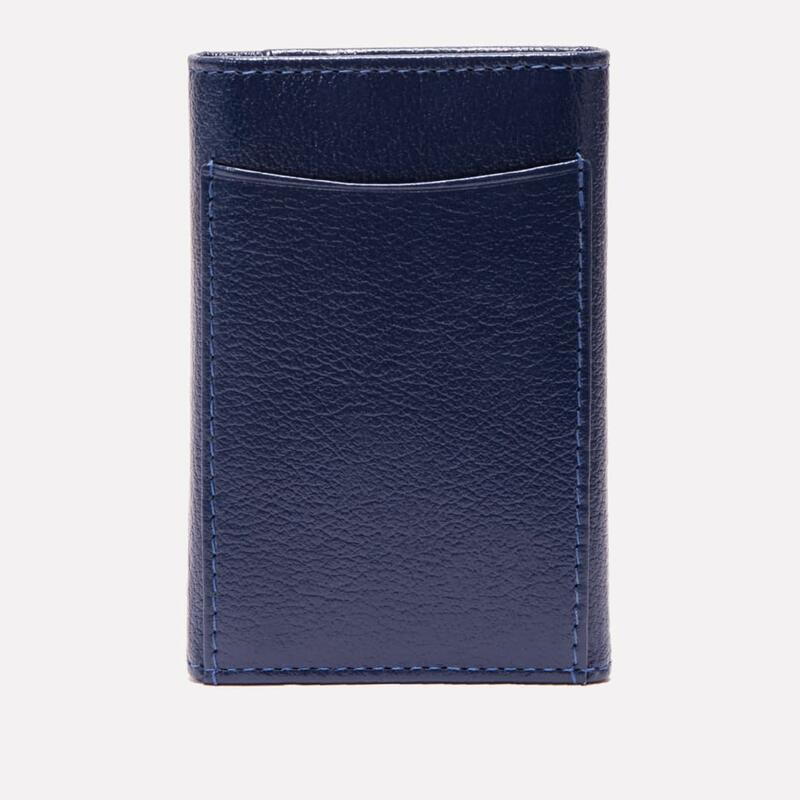 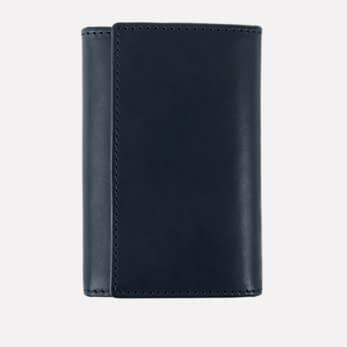 The case also has a few slip pockets and a small zipped pocket for you to store a few folded notes, cards and some coins, perfect for the minimalist looking to store all essentials in one place. 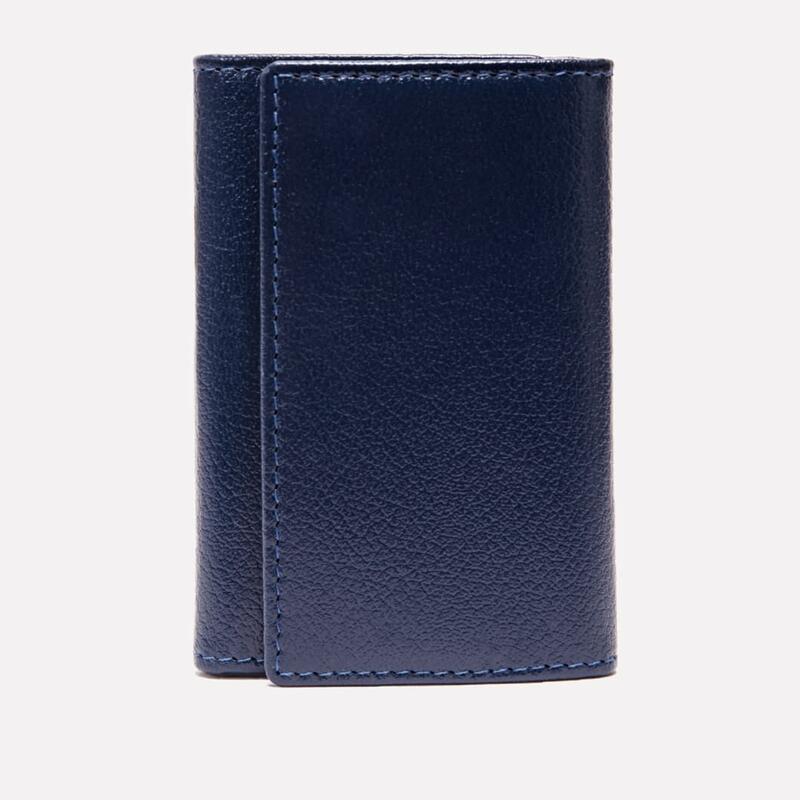 The goat leather used for this case has natural lanolin present that deters dirt from penetrating the leather easily. 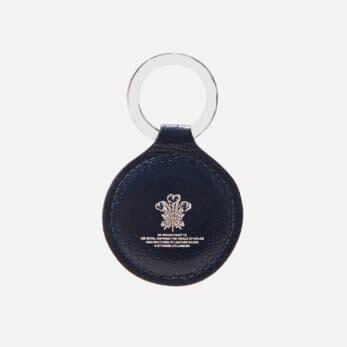 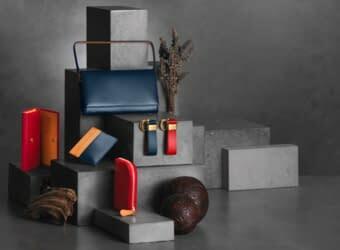 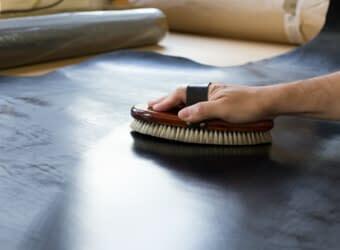 Before using your key case please read the care instructions carefully to make sure it continues to look beautiful, as misuse can age the leather prematurely.